Conclusion: It Was. 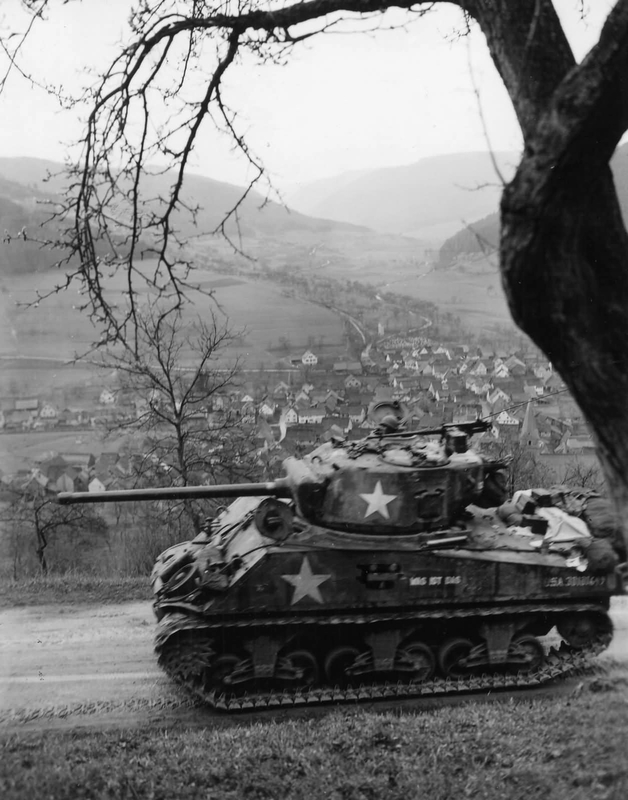 The Sherman Tank Was The Tank The US Army Needed, and It Handled The Task Well, In All Regions And All Terrain. My conclusion on the Sherman is that the reputation it has received in recent years is unfair, and the Sherman, in fact, was the best tank of the war. I base this on the tanks widespread use, ease of production, reliability, and combat record. It was not a perfect tank and did have a series of minor flaws. Yet there was nothing that kept the M4 from being combat worthy, useful tools, to the units it was issued to. When the allies needed a medium tank, the Sherman filled the role, and did it well, in the desert, forest, cities, jungles, and plains, hell even from the sea a few times. Even the Russians, who knew a thing or two about designing a tank, liked it. It was not particularly prone to fire or deadly to its crews, even the version with gas motors. For reasons covered in this interesting book: The Myth of the Eastern Front by Smelser and Davies. The German Army’s capabilities and motivations have been misrepresented over the years by authors with a bias, and a desire to make Germany look better, whitewashing much of the German Army’s role in war crimes and the Holocaust. Why is this important when discussing the Sherman? Because the Sherman has been one of the victims of the ‘losers’ writing the history, and in the case of ‘Death Traps’ by Belton Cooper, smeared by an author whose book contains false information than the truth. A plethora of bad television shows on the History, Discovery, and Military channel that was based on his book have not helped either. For these reasons the German armor used during WWII has really received a stellar reputation when it was not warranted in most cases. Some German armor was excellent, the PIII comes to mind, or the Stug based on that chassis. But the tanks named after cats were all failures. They are popular because they are pretty and on paper seem like great tanks. It does not take much real digging to find out there are a lot of flaws the stat sheet doesn’t tell you about. The Tiger was produced in such small numbers, even if its exploits were not almost completely propaganda, it would have had zero effect on the war. Yet it sucked up resources that could have been used to field far more PIV tanks. The Tiger II has all these flaws, but add horrible reliability problems on top of being even rarer. The Panther can only reasonably be considered a colossal failure in everything but looks. When the Germans began employing these tanks, they no longer had a force capable of exploiting breakthroughs or being used in maneuver warfare. 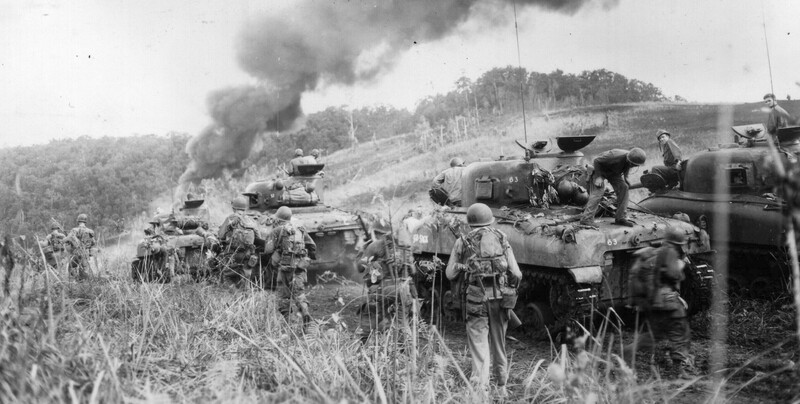 The M4 Sherman was a very good tank for exploiting a breakthrough, engaging armor and supporting infantry. 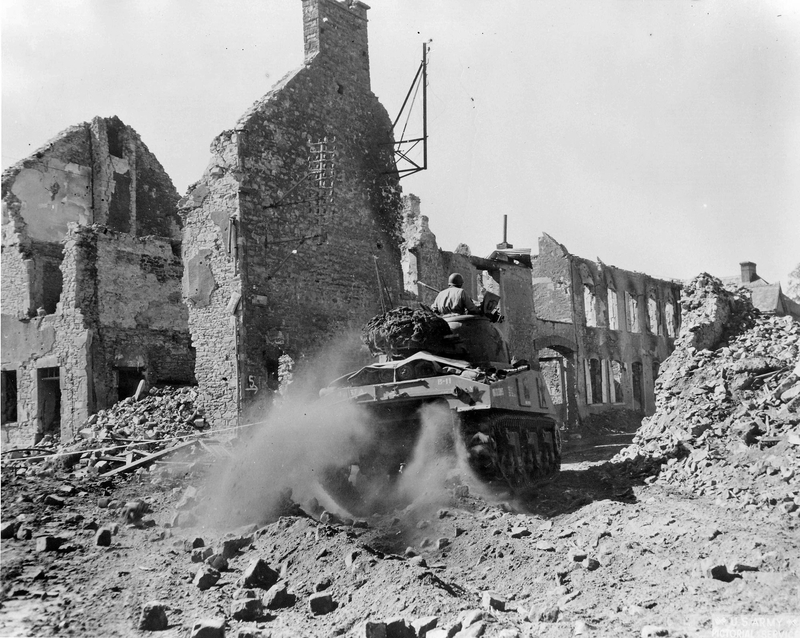 As the war progressed, the tank improved, in both major and minor ways, and at the Shermans entrance to the war, and at the end, it was arguably the best tank of the war. The M4A3e8 with 76mm gun was everything you want in a tank with only a few flaws. The final version of the Soviet T-34, the T-34-85 was also an excellent tank, and they would go on to face each other in Korea, on very close to equal terms. The PIV, and Panther, for the most part, ceased being used at the end of the war and both were developmental dead ends. And the PIV actually got worse with its final version, since it was stripped down, losing things like its powered turret traverse. The two tanks that should be admired most should be the M4 Sherman, and the T-34. Yet these tanks are most often castigated as cheap junk, mass-produced, to swarm the noble tiger, or panther to death, in its noble defense of the kingdom of Nazi Germany from the evils of turning into a dirty, red, communist prison state. Fortunately, with authors like Steven Zaloga, Harry Yeide, and David Glantz, and blogs like Archival Awareness and the Chieftains Hatch, the fairytales that passed for unit histories for German tank units are being debunked. In this bold, post-Nazi fan fiction flavored world, the Sherman should shine out as the automotive hero it really was. I know if I needed a tank to take on Nazi scum with, it would be a Sherman, preferably with wet racks. It is the man more than the machine. Put a seasoned Pro in a less capable machine and he will slaughter the innocents (rookies) irregardless of what they are driving. That is the way of war. But the Sherman was good enough to make it fair. Early T34’s went in to combat with a spare transmission strapped on the rear deck. And the drivers sometimes had to used a sledgehammer to change gears. The transmission was based off a Ford transmission for the 1920’s and was weak and rough. The German tanks all had straight cut gears in the final drive, Where the Sherman tanks had herringbone cut gears. This spread the stress over several gear teeth. The Germans were using slave labor to build there tanks and many were being sabotage in production. There was a Panther that was being rebuilt a few years ago and cigarette filters were found jammed in the oil ways of the final drive. I’m curious about the source of the T 34 with a spare transmission strapped on. The transmission was bad for sure, the trouble “the chieftain” had shifting the t34/85 (Which was a runner! )shows that, but having a spare to carry? The T-34 much like the Panther (which could not take a side hit) on paper was good. The T-34/76 in fact was awful in many respects. The crew situation was bad, there is no way the commander can be a gunner as well. While a diesel engine would look to be a plus, it takes clean fuel or the injection system packs it in. They are hard to start and incredibly so in the cold (under 20 degrees). Having looked into it, the solution was an air start so you could spin the engine. There had to be air rigs in the support train. Diesel injection system are precision systems. Not a good fit for a starvation based work force desperately trying to crank it out in awful conditions. The turret control system was severely prone to failure. The suspensions system penetrated into the hull and took up space. The armor was good, the gun ok (and very good initially) – track width was superior. The commanders hatch was an atrocity of blocking vision. The T-34/85 was better but it still had the legacny issue from the 76. I do agree with the majority of your argument in regards to vehicles, but I would not say the Tiger was a complete Failure. When evaluating the figures you have to look at the basic facts, for example the S.pz Abt 505 in attack their kill ration V Russian armour was 36:1 in defence this dropped to 27:1. However, this is a damn good kill rate. You can argue all you want, but facts are facts. A Gun is a better weapon than a spear, however at Isandwallah the Brits found out, that a lot more spears are better than a few less guns. The Tiger was never intended as a mass produce vehicle and was just intended as a breakthrough tank, at this it excelled and was very very effective. It was only an idiot who put a sherman up against a Tiger, and speaking to tank crews who had first hand experience of these encounters, they would rather be in a Tiger than a Sherman for such meetings. However the Tiger V Sherman comparison is just as insane! They were designed for different roles. The Sherman however, in my opinion was a brilliant all round tank. It could support infantry, it could spearhead attacks and could get the results that the allies needed. (Thankfully) It had excellent defensive ability and was reliable and could be produced in numbers. No doubt in my mind that it was the best tank of the war, it over shadows the T34/76 in almost every aspect as well, the T34 was not as reliable as many claim and was not as kind to its crew as the Sherman was. So I would have to say that in my opinion the Sherman was the best Tank of the war. With a bit of plastic surgery it even slapped up the T-62 upstarts in the 60’s! Actually the author of the website has a point, once Germany built anything beyond the Stug or PzIV they accelerated their own defeat. Putting more lethal guns on AFVs was insanely easier (more Fireflies were built then all heavy German vehicles on the Western front combined based on best estimates) then building a resource intensive tactical vehicle with only one primary role – which the Germans could not do much of anyways after losing any sort of initiative on all fronts. Armor and guns are only part of the equation – example, the M18 with weak armor, decent gun, and excellent speed came out with an outstanding kill ratio. Winning a pin prick battle somewhere in the middle of nowhere also means squat on the strategic level of warfare, especially when the vast bulk of the heavy vehicles ended up being abandoned anyways due to a variety of reasons throughout their service. 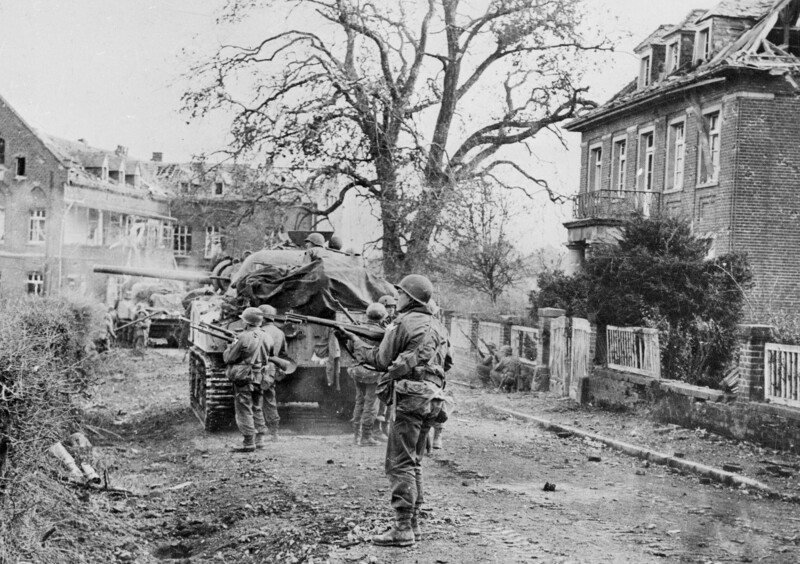 That situation was only made worse with heavy vehicles requiring far more logistical support while the Germans were dealing with tens of thousands of allied fighter bombers blasting anything that could move any type of supplies. The Germans didn’t have enough logistical support at the start of the war to being with, that situation did not get any better as the war wore on and especially after they lost total aerial superiority on any front. BTW, the T-34/76, where I disagree with both of you, was pretty much total junk. Just because the Soviets built them faster then Germany could kill them (the Soviets lost ~80% of all T-34s built during the war due to being utterly destroyed in combat – highest lost ratio of almost any mass produced combat vehicle of the war that I have found so far). Quantity is not a quality if your little more then target practice. The only reason the Soviets pushed back the Germans, and could even build that many T-34s to start with, was due to the 500,000 support vehicles and AFVs delivered to them, not even including the thousands of vehicles delivered by the British and Canada – and that is not even counting thousands of aircraft deliveries. A significant portion of the Soviet forces were AFVs not even built in their own country and ALL halftracks were US built. The T-34 had more flaws then ANY German tank and was inferior to the M4 Sherman on virtually all points. Even many Soviet tankers preferred the M4 over the T-34 and many of the other British tanks. I will let you guys figure out why the T-34 was virtually armored junk.. and why their loss ratio was never in the positive from the start of Barbarossa to Berlin – hardly anything to brag about as a “war winning” weapon. In defence of the t34 it did have good armour early on, but the M4 sherman is just so much better, you can escape it quicker than it takes to open the hatch in the t34.